Brazilian jiu-jitsu or BJJ is one of the most common disciplines used by many MMA fighters. 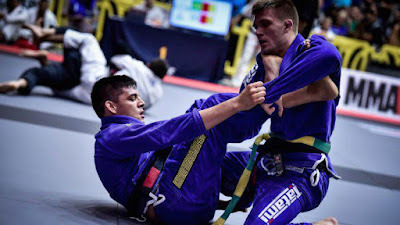 Lots of fighters are using this discipline because of its effectiveness in taking down an opponent that most of the time results on winning the match. We often see this technique being used in a fight but most of us don’t know much what BJJ really is. So let us all know some of the important facts about Brazilian jiu-jitsu below. Jiu(ju) is a Japanese word that means “gentleness” and Jitsu(jutsu) means “art” so basically jiu-jitsu can be translated as “gentle art”.